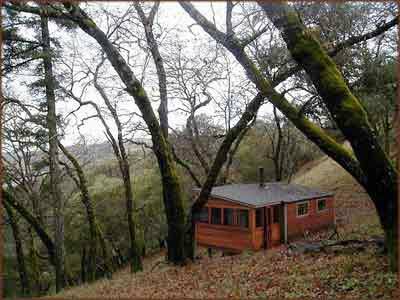 Hello Friends, Here's some images of our off the grid home in northern Sonoma County, 100 miles north of San Francisco. 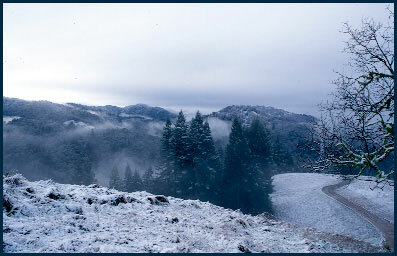 Our home is situated on a ridge top 20 miles from the wild north coast at the end of a 6 mile dirt road. 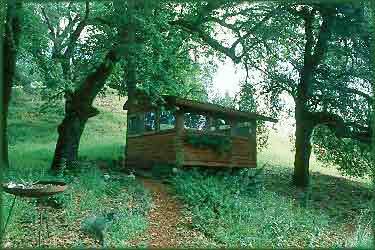 There's a wonderful diversity of ecosystems including Redwood, 5+ types of Oaks, Madrone, Bays, and more with many wildflowers. Bald and Golden Eagles, Peregrin Falcons, and Pileated Woodpeckers are a few of the birds we share the sky with. Our bedroom, or bunkhouse as Keith likes to call it, is a separate building from the main house. My office is down hill from our home, Keith's is uphill. 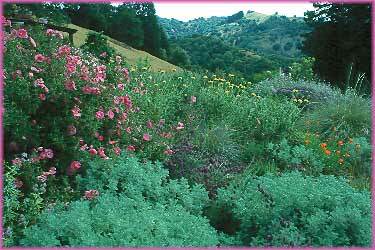 The native drought/deer tolerant garden is in it's full glory. We hope you enjoy these photos of our mountain top paradise. 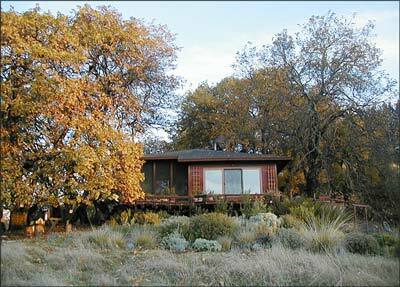 New Creek Ranch-home of mud slides, rattle snakes, bears, and wild cats! 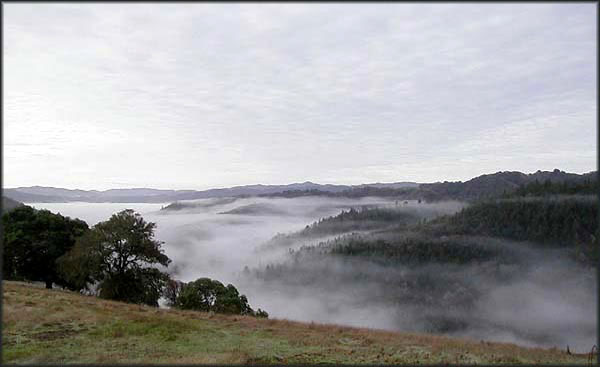 View to south with fog in valleys. 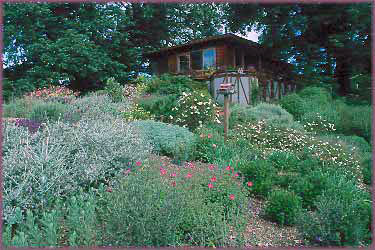 Drought tolerant garden to east. 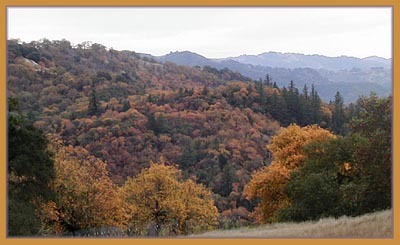 Black and Oregon Oaks in fall. Winter does happen at 1200'. 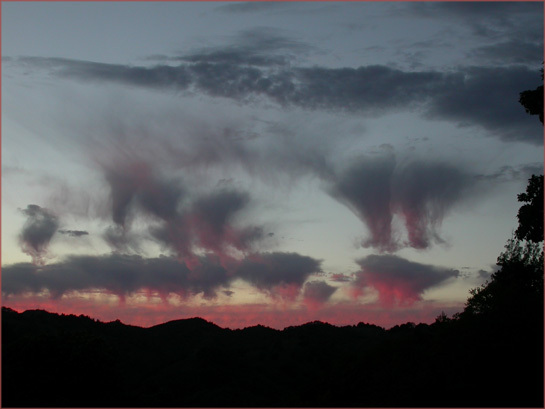 Most unusual sunset we've seen here.